SARASOTA, FLORIDA, July 5, 2018 – The scheduled 2019 opening of Atlanta Braves’ spring training stadium in North Port has started sending positive economic ripple effects to this city, as plans to set up the first local hotel appears finally taking off. This groundbreaking venture moved closer to implementation with the approval of a request of Michigan-based Lodgco Hospitality, Inc. for the city government to allow deferred payments of impact fees of the new hotel’s construction. Lodgco has proposed to develop a Hilton-flagged hotel in North Port on U.S. 41, just west of Sumter Boulevard and south of the Sabal Trace Golf & Country Club. Parenthetically, real estate developers are also keen on the revitalization of the 207-acre Sabal Trace property where the golf links have been idle for years. Industry observers note that the deferral of Lodgeco impact fees would send positive signals to other investors eying North Port. The proposed Lodgeco hotel project, which has been linked to Hilton’s Hampton Inn brand, is planned for between 100 and 105 rooms. Its blueprint likewise feature one 2,000-square-foot conference room good for about 100 people. Lodgeco already runs three hotels in the Sarasota area. It bought the Hyatt Place Sarasota hotel near the Sarasota‒Bradenton International Airport in 2016 and also constructed a Hyatt Place in Lakewood Ranch plus a Home2Suites by Hilton hotel in Nokomis. In another development indicative of North Port’s robust growth, the city has cleared the construction of its own water park. 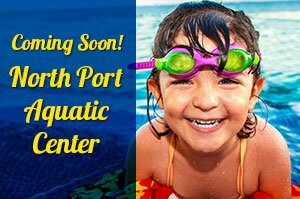 The builder’s contract for the North Port Aquatic Center got the approval of the city’s commissioners this June. This facility is set at Butler Park and will be built next to the Morgan Family Community Center at 6207 West Price Boulevard. Meanwhile, North Port city officials remain firm on the proposal to set up a full-service hospital in the city, a bid that failed to win approval from the Florida Agency for Health Care Administration last December. 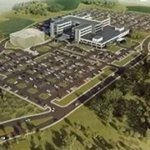 The city has committed to support the project proponent, the Universal Health Services, if it decides to appeal the decision of the state’s healthcare administration. Universal Health is the owner of the Manatee Memorial Hospital and Lakewood Ranch Medical Center. The City Commission has also expressed continuing support on a proposed legislation to abolish the certificate of need process for hospital-building applications. 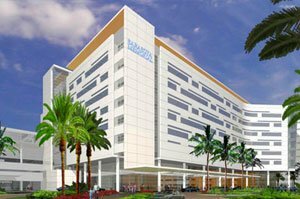 Sarasota Memorial, which already has an emergency center in North Port, has likewise announced interest in setting up a full-service campus in the city.